ALL the results and scorers from the eighteenth round of the QRL Intrust Super Cup. ALL the results and scorers from the eighteenth round of the NSWRL Intrust Super Premiership. GET all the Late Mail ahead of today's battle between the Canterbury-Bankstown Bulldogs and the Newcastle Knights. IT'S Teamlist Tuesday for Round 18 of the 2017 NRL Season! 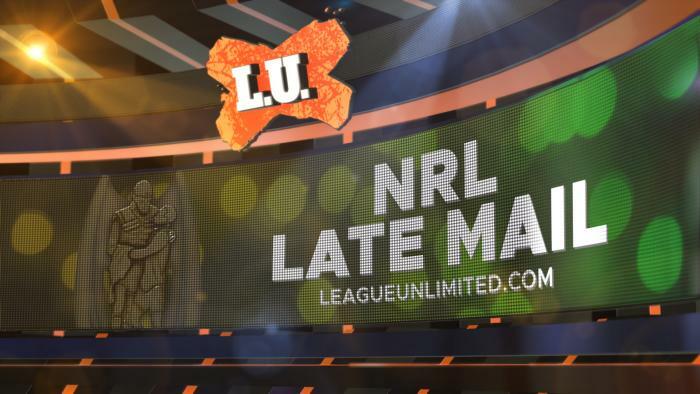 At 4pm AEST every Tuesday, the full teams & officials for each NRL round will be posted right here! Check back across the round for squad updates & final teamlists. ALL the results and scorers from the ninth round of the QRL FOGS Colts Challenge. ALL the results and scorers from the eighteenth round of the Under 20's NYC Holden Cup. THE Parramatta Eels played their best attacking football of the season, which coincided with Semi Radradra's best performance of 2017, to defeat the Melbourne Storm 22-6 at AAMI Park. IT wasn't pretty but it was enough as the Panthers ended the Sea Eagles five-game winning streak 16-8 in front of 14,625 fans at Penrith tonight. GET all the Late Mail ahead of tonight's battle between the Melbourne Storm and the Parramatta Eels. ALL the results and scorers from the ninth round of the NSWRL Harvey Norman Women's Premiership. GET all the Late Mail ahead of today's game between the Penrith Panthers and the Manly-Warringah Sea Eagles at Pepper Stadium. THE Sydney Roosters have not let the loss of their four Origin stars hold them back, with a gritty win over the arch rivals South Sydney 14-12 at Allianz Stadium tonight. GET all the Late Mail ahead of tonight's game between the Sydney Roosters and the South Sydney Rabbitohs. ANDREW Jackson casts his eye over Sunday's clash between the Canterbury-Bankstown Bulldogs and the Newcastle Knights at Belmore Sports Ground. 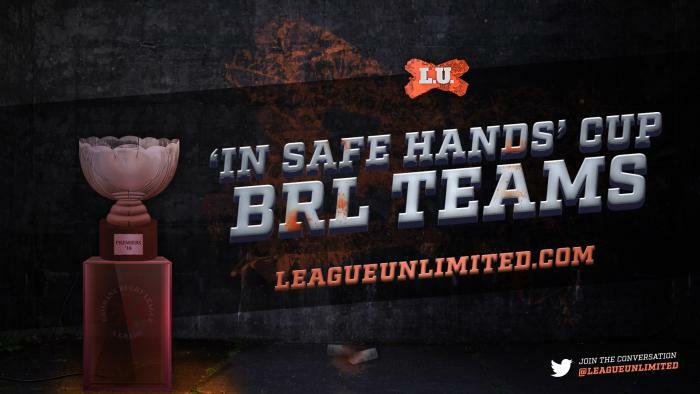 GET all the teams and officials for Round 15 of the Brisbane Rugby League thanks to QRL. ANDREW Jackson runs the rule over Saturday evening's game between the Melbourne Storm and the Parramatta Eels. ROB Crosby previews the upcoming battle between the Penrith Panthers and the Manly-Warringah Sea Eagles at Pepper Stadium. JACK Clifton takes a look at Friday evening's meeting between the Sydney Roosters and the South Sydney Rabbitohs. GET all the RFL Match Officials and 19 man squads for Round 21 of the Betfred Super League. SAM'S weekly look at the ins and outs, analysis of each lineup and a brief forecast - all ahead of NRL Round 18.